While the idea is still on the drawing board, Electronic Arts has confirmed to be investigating an annual subscription model for its "EA Sports" brand. One document, said to be from the company, describes the service as, "an annual paid subscription that enhances your gaming experience," which is to include EA's core sports titles: Madden NFL, FIFA, NHL, Tiger Woods PGA Tour, SSX: Deadly Descents and NCAA Football. 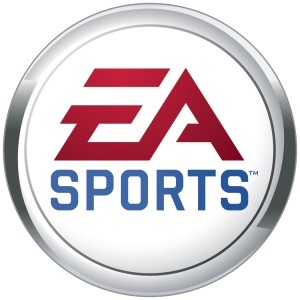 With the regularity at which sports titles are released and the burgeoning expense of downloadable content, EA may be banking on avid armchair athletes finding an all-inclusive subscription peppered with incentives a fairly attractive offer. Such benefits are slated to include reduced prices for DLC (downloadable content), early access to unreleased games (up to a week), social recognition in the form of badges, DLC version portability and a few other perks. This is also interesting news in the wake of the recent friction between Origin (EA's recent digital game distribution service) and Steam (Valve's well-established, competing platform). EA claimed a major hurdle with Steam as Valve made it impossible to, as an EA spokesperson put it, "give you the best possible gaming experience" through direct updates, patches and support. While some readers may find that statement dubious, one may possibly see the difficulty EA could have implementing this type of subscription plan on Steam. There has been no mention of whether or not subscriptions are intended to eventually replace future purchase-to-own games, but depending on the annual price, this could either be a huge upset or a viable future for gaming. Of course, if this proves most successful, there may be little to keep EA from offer subscriptions for all genres of its games. Is this the beginning of the end for á la carte gaming? What price and what features would convert you to a subscription?